If you’re looking for a wine adventure without the hassle of traveling to Napa, you’re in luck. Here’s how to plan the perfect weekend in Santa Barbara. Looking for a weekend away, but tired of the typical tour through Napa Valley wine country? You need to book a weekend in Santa Barbara. 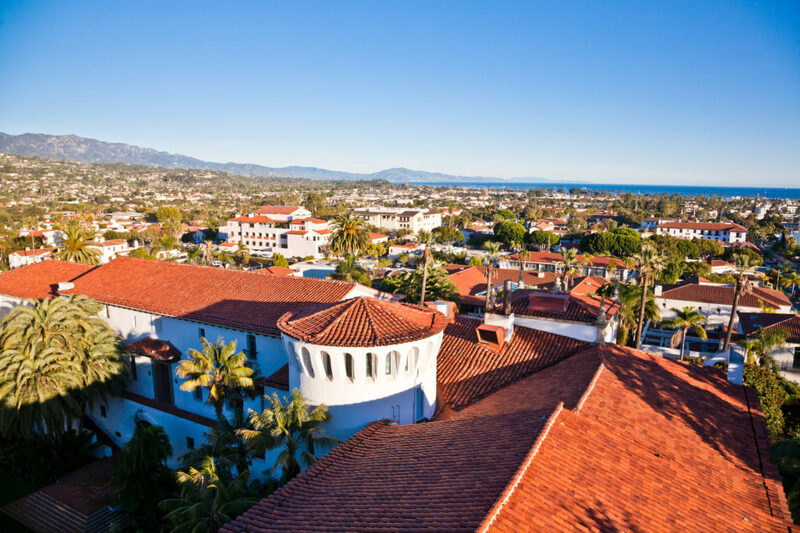 Santa Barbara is one of the many beautiful places California has to offer. It has magical weather all year round, and it’s great for tourists. Why? For one, the city has great restaurants and wineries. There’s shopping, eclectic luxury experiences, and did we mention the wine? We need to mention it again. Because Santa Barbara is less known for its vineyards than Napa Valley, you’ll get an amazing experience without the crowds. It’s the perfect relaxing vacation for your honeymoon, anniversary, or time with friends. If you’re looking for a weekend away, then you need to visit Santa Barbara wine country. Keep reading for our top recommendations in the area. There are plenty of things to do in Santa Barbara, and they don’t all have to do with wine. That said, we know you guys are alcohol aficionados, so these are our top recommendations. The French Press is one of the most popular breakfast spots in downtown Santa Barbara. If you plan to hit it early in the morning, expect a line past the pastry case and down the hall. The espresso is the kind you write home about. Each barista is well trained, so you know you’ll get a great cup of joe with your fresh baked pastry. If you’ve pulled in and you’re not ready to hit the vineyards, don’t worry. Santa Barbara has 25 wineries on it’s Urban Wine Trail, and they’re all within walking distance. Check out their site for special events and winery map details. Look, world travel can be expensive (although there are cheap ways to travel). When you only have a few days to explore, you want to get the most out of it. That’s why Solvang is a cool place to stop by in the Santa Barbara area. They have cool Danish-inspired architecture, famous pastries, and, of course, wine. It’s the perfect place to visit if you want to feel like you’re in a whole other country. Ready to hit the vineyards? Then get out to the Santa Ynez Valley. Santa Ynez Valey is full of beautiful estates, sprawling gardens, and homegrown wineries. Stop by a few of the estates and sample their wines. Then book a dinner at First and Oak in the evening for a culinary experience. Lotusland is a historic estate with 37-acres and 14 distinct gardens. It’s the best place to see what kind of flora and fauna California has to offer. The opera singer Madame Ganna Walska owned the mansion in the 1940s. She used the garden as a way to express her artistic inclinations. It’s described as an “Alice in Wonderland” garden, but you’ll have to see it for yourself. If you’re planning a trip out West, then check out our guide for the best places to visit. You can also expand your tour of California with our guide for the Los Angeles beer crawls and San Francisco restaurants. Don’t forget to comment and tell us how you spent your weekend in Santa Barbara.